Every day our expert Course Advisors speak to parents and students, providing information and advice about our GCSE and A Level revision courses. Here are some of the most frequently asked questions. Who are your tutors and what qualifies them to run courses? 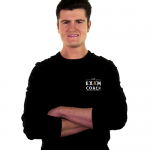 All our tutors are experienced GCSE, IGCSE or A Level teachers. Many are examiners or Heads of Department – all have a detailed understanding of exam papers and exam board requirements. We select them not just for their subject knowledge but also for their energy, empathy, personality and – importantly – their ability to inspire and build student confidence. Every tutor who runs a Justin Craig revision course is carefully chosen, having gone through our demanding recruitment process. We ask for student feedback after every course and continually review their comments/ratings on tutors – we really value this feedback. What is the maximum class size of your revision courses? Our courses are never larger than nine students, and very rarely smaller than three. 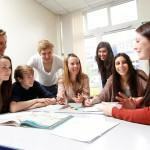 All our experience shows that these small groups create the right balance between discussion and independent learning and practice – with tutors able to devote significant time to students individually. Are the courses specific to a particular exam board? That depends on the subject and level. We have carried out detailed research with examiners and use the most appropriate revision methods for each subject. 94% of our A Level courses are exam board or module specific. How do you ensure the requirements of my child are met? Prior to each course we ask students to tell us which areas, topics or skills they would like to cover. This information is shared with the tutor to help determine the content and structure of the course. 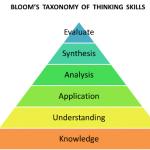 Throughout the course, the tutor will adapt the approach and content to reflect student feedback and needs. What can I do if I can’t find the subject or exam board that I am seeking? We offer courses to cover the vast majority of subjects and exam boards commonly studied at UK schools. However, if you are looking for a less popular subject or exam board, we may still be able to help and add new courses according to customer demand. In the first instance, we recommend that you speak to one of our expert Course Advisors on 01727 236135. Do you offer courses for retake students? We offer specific retake courses for GCSE Maths and English during October Half Term for Years 12-13. For other subjects, please speak to one of our expert Course Advisors on 01727 744340 or email us. How will you make my child feel welcome? Our tutors are friendly and approachable, and they work really hard to build the confidence of every student by creating a supportive, friendly atmosphere. We find that simply putting students in a new, neutral environment encourages them to see exam revision from a fresh angle – and it’s easy for them to get to know the people they study with, because they already have lots of common ground. Your courses aren’t cheap! How do I know my money will be well spent? We like to let our track record speak for us. Nine out of ten students say we helped them revise more effectively, and many students come to use Justin Craig following a recommendation from other parents. What’s more, 86% of Justin Craig students reach or improve on their target grades – and 94% rated their course as good, excellent or amazing. What else does Justin Craig Education do? Nothing. 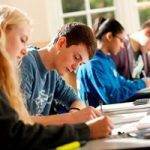 We focus solely on providing high quality exam revision tuition for every student, just as we have done for 35 years. For more information on Justin Craig group tutoring and revision, please speak to one of our expert Course Advisors by calling 01727 744340 or email us.